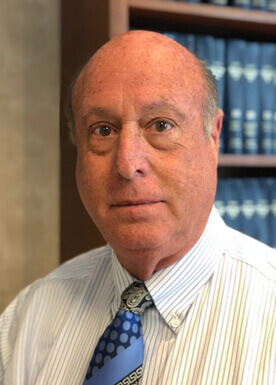 Stuart Grozbean exceeded every expectation I had for counsel during a difficult divorce with complex circumstances. When I entered his office, I was facing the prospects of a shattered career as well as a broken family. His gregarious manner instantly set me at ease while he did critical research on the spot to ease my immediate concerns. Throughout the process I was always confident that he possessed a supreme mastery of family law, superior insight into human nature and the tactical brilliance to pursue my interests with energy and equity. He guided my case through court while providing me counsel characterized by candor and concern for the interconnected issues of my life. I could share much more, but will close by saying that when we reached the courtroom it was evident that he commanded respect from everyone there--from clerks to attorneys to judges. Like others, divorce represented disappointments that I could have never anticipated. Representation by Mr. Grozbean empowered me to move through a hard experience and emerge with a sense of dignity and wholeness with which I could rebuild my life. There is no question that the unique gifts and experience possessed by Stu positioned me for a large portion of the peace that I now possess. I would enthusiastically recommend him to anyone. Attorney Grozbean was recommended to me by a friend to assist in my life changing event of separation and divorce. His professional but sincere persona immediately inspired confidence in me that he was the right attorney to lead me through this event in a supporting and honest way. Throughout the process he personally addressed my concerns and responded expediently to my inquiries. The case ended amicably for all involved. Thank you Mr. Grozbean. I never retained Mr. Grozbean, but I am thinking that I should have and may switch ponies for part of my case if he is willing. He spoke to me initially at no charge and in no time flat he had the case understood and a clear strategy that I liked. Ultimately, I did not hire him because I was being a softy and didn't want to pull out the big guns on my wife whom I was still somewhat hoping to reconcile with. All the while, she has had both daggers out on me. Lesson learned on that one. I talked to him a second time for free over the phone and was not even looking for as much time and advise as he gave me, but he kept talking. In that case, he actually suggested that I not use him because it would look bad me introducing him in a jurisdiction that was sort of a good-ole-boy/girl network that might not appreciate me bringing in this high powered guy to argue the case. I still would like his help in the custody part of my case which has been long, painful, dropped, and picked up again. He is an older man now, but don't let that fool you at all. He has an amazing mind. I was truly amazed how he took a document that I sent, digested in a half hour before we met and totally had a strategy laid out from the moment I met him. For me, I have a hard time going with the ad hoc kind of approach. I like seeing the strategy more than some. He certainly seemed to have one. I was referred to the office by a friend who turns out to be related to a partner and it was the best decision we could have made. My daughter was being held out of school by the school system becuase we didnt have an order in place although both parents consented on the child's living arrangements. The brain trust of Stuart and Henry along with the others in the office filed a motion against the MOCO School Board and it took all of 30 seconds for the judge to award a favorable outcome. I have since received custody of my daughter and was able to receive some sound strategic adivice on that matter as well. My experience with Stuart Grozbean with regard to my divorce was absolutely wonderful. He is extremely knowledgeable and reliable. Even though mine was a very lengthy case, he never nickel and dimed me throughout the whole process. Apart from the expert advise he was always available including weekends or late nights, if needed. I just called in for a consultation with a lawyer and Mr. Grozbean was extremely helpful. He is very knowledgeable and provided me with great resources, information, and the steps I need to do right away for my divorce. I truly appreciate him taking the time to talk to me for almost an hour and not charge me for the amount of helpful information he provided. He gave me information that other lawyers wouldn't know or typically don't provide. He's GREAT!!!! Stuart is simply the best! I needed to hire an attorney for child support and many years of child support arrearages owed to me by my ex-husband. I was on a very tight budget in terms of even being able to afford an attorney and get through this process. During my initial consultation with Stu, he spent over 2 hours discussing my case – and I knew then and there he was not your typical lawyer. I never felt rushed to leave, nor did I ever feel like he was just in it for the money and I was just another case. Understanding my financial concerns, Stu decided to have another one of his associates be the lead on my case, at a lower rate, but with Stu’s consultation throughout the whole process at NO charge. So, I had the experience of two lawyers handling my case, but only one hourly rate. It’s a demanding process, and with working full-time and being a full-time Mom there were many times I felt like just throwing in the towel and giving up, but each time Stu and his associate were there offering support, encouragement and guidance. Stu is a kind man, who even attended the final court ordered mediation at NO charge in an effort to help get my case settled. Stu and his associates have my highest recommendation. I just cannot say enough good things about this firm. There is no finer attorney than Stu Grozbean! When I first met Stu Grozbean, I was a stay at home Mom with two young children stuck in an abusive marriage. Just having recovered from breast cancer, I was facing another incredibly difficult battle. Stu was there for me from the beginning to the end, and then even six years later when revisions had to be made to our agreement. Stu took care of me and my children......he made sure we were protected and got what was rightfully ours. My divorce had to be handled long distance, and he made everything as easy as it could possibly be. He is a good, caring man and there is no more knowledgeable and determined attorney to be had! He is also someone that I like to still be in touch with just because he is such a good man! Thanks to Stu, I have my life back and am extremely happily married. You can't trust just anyone when it comes to something this big. I'd never call anyone else! I felt confident that I had picked the right lawyer to represent me when, ten minutes after having left a message with his office receptionist, Stu called me. I had left messages with a few other law offices that week, and none had called back. Never having retained an attorney, I did not know what to expect in terms of responsiveness. So I was surprised at the speed with which I received a return call, and I told this to Stu, who explained: "When someone I have never heard from calls me and leaves a message, I assume that he is feeling some anxiety and wants to talk sooner rather than later. When can you stop by?" Stu over the ensuing weeks and months showed himself to be not only a veritable encyclopedia of the legal code but also a premier expert on the nuances of human behaviour and psychology, helping me to craft a strategy that kept me two steps ahead of the opposition and which, in the end, produced a most satisfactory outcome, far better than I had imagined possible given the circumstances of my situation. It was, I imagine, like playing a game of chess and having Gary Kasparov on my team. But Stu was more than an advocate: he was patient, supportive, indefatigable. On more than one occasion I woke in the morning to find an email from him, timestamped between 1 and 3 am, with an insight or idea or simply a brief message of reassurance -- evidence, if any was needed, that he was concerned about me and was determined to secure for me the best outcome possible. The divorce process is probably one of the most confusing, and extremely stressful experiences a person will probably go through. It becomes especially stressful and nerve racking when children are involved!! Some divorces can proceed with minimal issues when both parties are willing to cooperate in the best interest of everyone involved. However, more than not the vast majority of divorces has one party that is unwilling to cooperate…even be crazy by anyone’s standards. When you go into this type of divorce, you want to have the very best attorney on your side! The best for me, and I strongly recommend for you too, was Stuart Grozbean of Beli, Weils and Grozbean in Rockville, Maryland! It was extremely devastating when my ex (along with the help of her attorney) attempted to gain full custody of my children by continuously misrepresenting facts in a negative manner. Stu was able to successfully maneuver me through the process and ensuring that the best interest of my children, and those of mine were preserved. Stu kept me informed throughout, and when I had questions, Stu would take a step back and ensure that I not only understood the particular topic but that I was also comfortable with the decision. He always took my calls personally, even when I needed to speak to him at midnight or when he was on vacation during the holidays. Once the custody case and later the financial case were completed, Stu took the time to call me personally to see how I was doing and to answer any questions that I might have had. Stu is a no nonsense attorney with nearly 40 years of experience handling cases like mine and it clearly showed throughout! He will tell you that he does not wear the “black robe”, but he might as well given the upmost respect he receives from the judges and opposing attorneys. In other words, when you retain Stu you are making a statement that you’re not playing around and you mean business! You will also work with other members of his team, namely Jamie Maier, Esq, and Charlotte Shifrin. Like Stu, they are genuine about helping you gain what you want out of the process. I highly recommend Stuart Grozbean and his team at Beli, Weils and Grozbean if the time comes that you need his expertise.